MOSCOW, October 13. /TASS/. 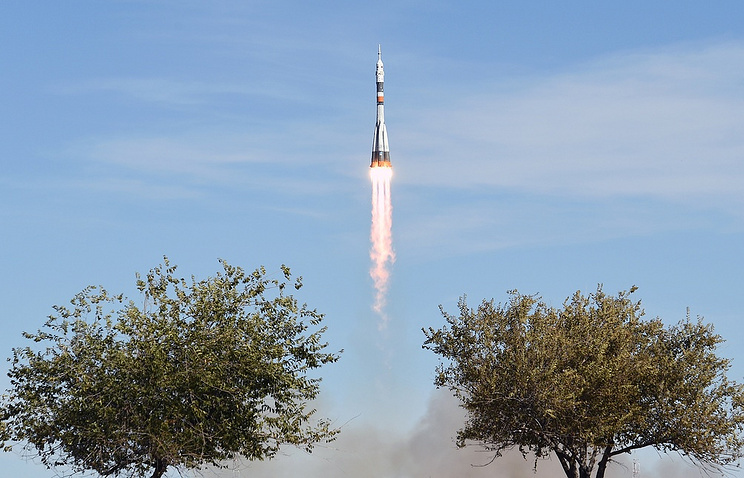 An astronaut of the United Arab Emirates (UAE), who was scheduled to be sent on a mission to the International Space Station (ISS) in April, will not fly to space, as the Soyuz MS-10 spacecraft that was supposed to return the crew to the Earth had an emergency landing in Kazakhstan, a source in the space industry told TASS on Saturday. "In April, the Emirates’ astronaut will not definitely fly to the ISS. He will not fly because there is no spaceship. They should have returned to the Earth along with Alexei Ovchinin on board the Soyuz MS-10," he said. Nevertheless, there have been no considerations so far that Ovchinin would replace UAE astronaut in the Soyuz MS-12 mission to the ISS. It can be explained by the fact that two Russian cosmonauts are aboard the ISS now. "A principal decision should follow so that the ISS Russian segment can host three members. The matter is not about Ovchinin, but that there should be a transition to a complete crew," he explained.